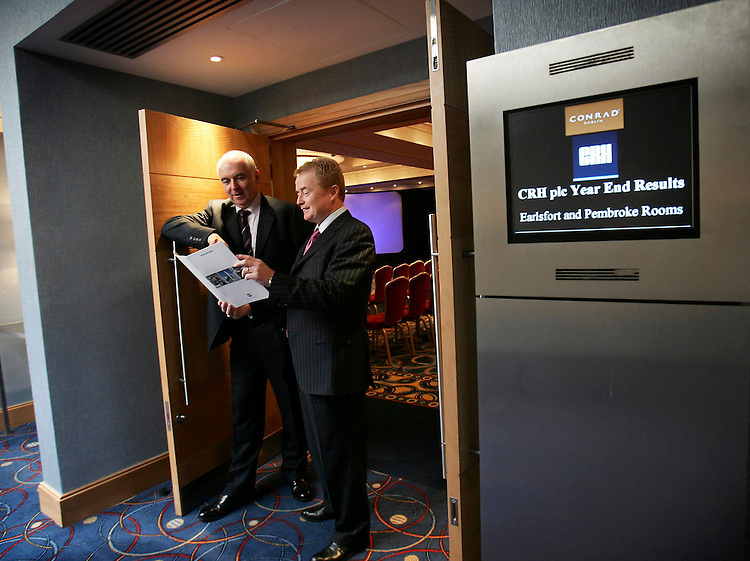 Myles Lee, Finance Director (left) and Liam O'Mahony, Chief Executive, CRH Plc, pictured here at the companies 2005 Annual Results held in the Conrad Hotel, Dublin. Pic. Robbie Reynolds.